When your child loses their first baby tooth, that's a clear sign they're growing up. In fact, to a typical 6 year old it's more important than learning how to ride a bike or fly a kite. Kids are always tracking how many teeth their siblings or classmates have lost and eagerly telling everyone about their experiences. As their roots eventually dissolve, baby teeth clear the way for the adult teeth to make their debut. Usually, the bottom front two teeth are the first to fall out followed by the top front two teeth close behind. When will my child's teeth start getting loose? Most children get their very first loose tooth around 6 years of age, but it can happen as old as 8 or as young as 4 as well. Usually, kids whose baby teeth came in early lose them before the kids who teethed late. It often takes a couple of months from the time a tooth gets loose until it completely falls out. Most teeth tend to just fall out on their own when they get stuck in food or even swallowed, which is harmless. However, some loose teeth are more stubborn than others and can literally hang on by a thread for a number of weeks. This is no fun for little Suzie! Many moms wonder if wiggling teeth free is okay and harmless. The answer is yes. In fact, it's actually a good idea to encourage them to give it a little wiggle. If it's just hanging there, sometimes you can take a tissue and rotate it in order to get it out. (This deserves a little extra cash from the Tooth Fairy). However, never force it or tie it to a string and pull unless it is flapping in the breeze. The root could break and become infected if it's only half dissolved. Once little Suzie's baby tooth finally falls out, her permanent tooth is waiting to make its appearance just below the gums. At first, Suzie's permanent teeth will actually have ridges along the biting edges since they haven't had a chance to wear down yet. As more permanent teeth replace the baby teeth, the color difference isn't noticed as much. Sometimes a child's teeth appear too big for his small face. Don't worry, his small head is growing bigger every day, and eventually he'll grow into his own teeth. On the other hand, if the teeth are really crowded, it may be best to take a visit to your friendly dentist about perhaps seeing an orthodontist. Losing baby teeth is usually a painless process. However, if the sharp edge of a baby tooth painfully cuts into Suzie's gum, your family dentist will probably encourage her to wiggle it a bit harder. While Suzie's baby teeth are falling out, her 6-year molars are trying to pop up and get noticed. Sometimes the gums can appear tender and swollen and the child may express pain. Ask your dentist or doctor about giving them ibuprofen or acetaminophen to help their overall discomfort. 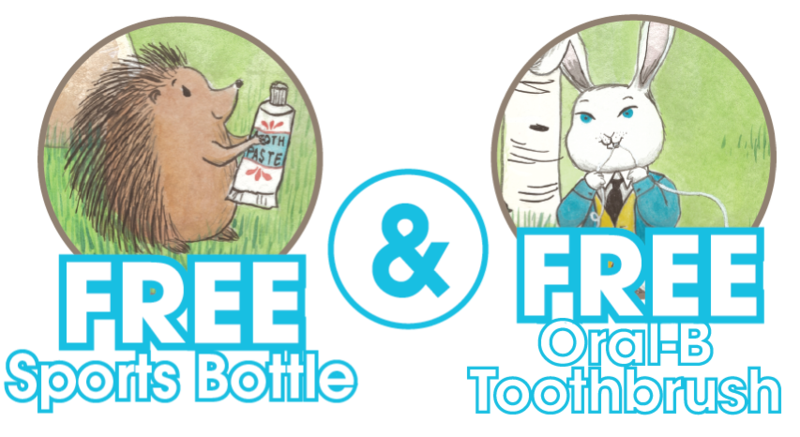 Even though little Suzie says it's hard to chew or bite down with her missing or loose teeth, assure her that it's normal and it's important for her to maintain her healthy diet. It may be better to serve her healthy soft foods like yogurt, pureed fruits, and vegetable soup. Make sure Suzie keeps brushing at least twice a day so the dentist will be very proud of her. If your child is age 7 and still hasn't lost any teeth, talk to their dentist. While it's likely there's no problem, the dentist may recommend X-rays in order to ensure that all the teeth are indeed under Suzie's gums. In fact, late teeth may offer an advantage. Late blooming teeth are often harder since they remained in the jaw somewhat longer and are therefore more resistant to developing cavities. It's likely that little Suzie won't be happy about the delay of her 'big girl' teeth. She may feel different because hers are taking longer to come in than the other kids. Just remind her that everyone is different and hers are taking longer because they want to be extra beautiful when they finally pop in. 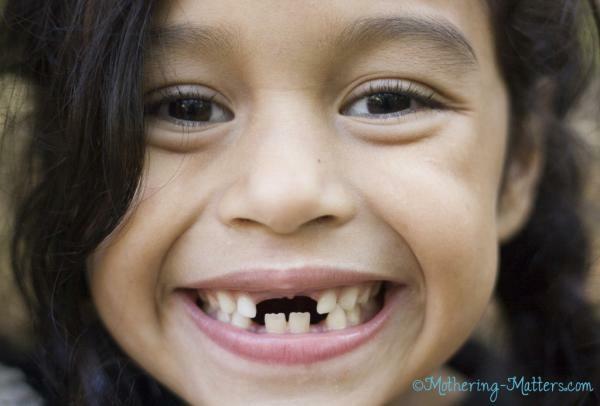 Eventually, all children will have a tooth to put under their pillow for the Tooth Fairy. After all, isn't that what they really care about anyway?